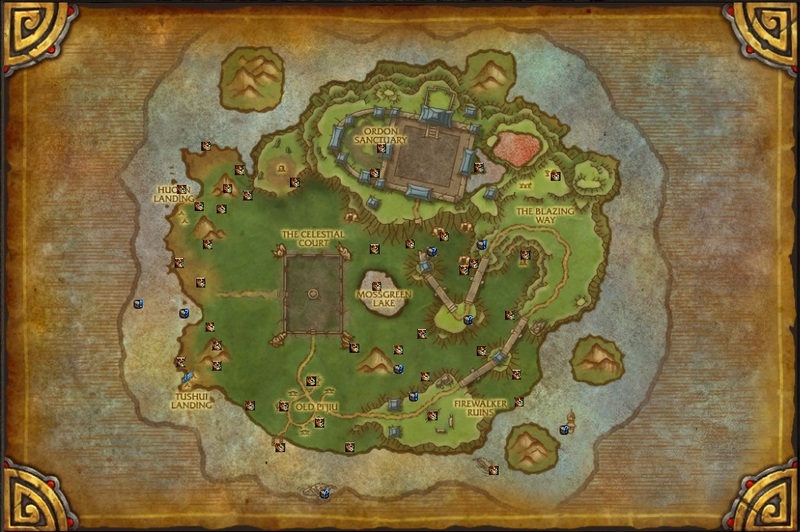 Shows the chests on Timeless Isle that have yet to be looted by that particular character. REQUIRES HandyNotes to be installed. Credit goes to Voxxel for the information I used on his comment at http:www.wowhead.com/achievement=8729. I've added an option to show the nodes from TimelessIsle_RareElites mod. Chests should hide as you loot them on the map. This can be changed by hitting escape and going to Interface->Addons->Handynotes and expanding the plugins and selecting TimelessIsleChests and toggling the show all chests option. This is what it should look like. I would rather have not done this but since there is definitely an issue with IsQuestFlaggedCompleted(), I've added a slight workaround for it. In version 1.09, which will be ready whenever curse gets around to packaging it, I've added an option to Save to the saved variables file. The option will need to be enabled and, most importantly, one of your logins must have IsQuestFlaggedCompleted() returning useful information. If you've enabled the option and the chests that you are sure you have looted are still showing then try logging out and back in or switching to and alt and then switching back. Once the data has been recorded in the saved variables file, the addon will rely upon that instead of that buggy function. For right now this option will not affect the weekly chests. The changes in 1.06+ should stop the minimap icons from flickering with unnecessary updates. I've noticed that sometimes while logging in for the first time after you start up the wow client that IsQuestFlaggedCompleted() always seems to return nil. When that happens the chests do not hide and will always remain visible. Right now the only way I've been able to fix it was to log out to the character selection screen and then log back in. If the map icons do not disappear when you loot them then, I recommend logging back out to the character selection screen and then logging back it. Added chests related to the achievements, http:www.wowhead.com/achievement=8726 and http:www.wowhead.com/achievement=8727. Some chests have two markers, one to indicate where to start at and another at the actual chest location. I've made one that works with the latest beta of Carbonite. You can get it here, Carbonite_TimelessIsleChests. This is only for Carbonite users who can't use the handynotes version. It has the same issues as this addon with IsQuestFlaggedCompleted() and the chests will not disappear off the map as you get them but will instead not show up on subsequent logins. Delayed registration with HandyNotes by 10 seconds. Swapped the Carry Bird chests around. Added a few achievement related chests.